The 15th Annual Music and Dance Festival of The Indiranagar Sangeetha Sabha (ISS) will be held between the 26th and 31st January and is a mélange of all this music and dance. 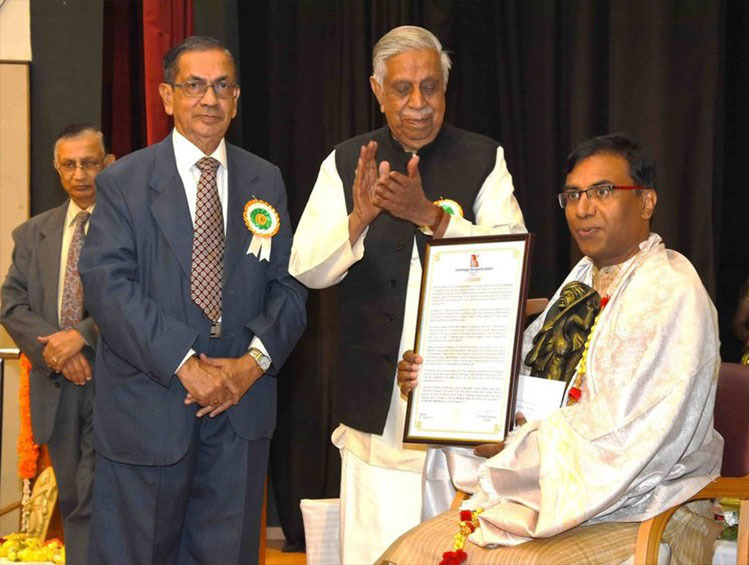 Started in January 1986 as a Cultural and Educational Trust, the Indiranagar Sangeetha Sabha has the primary objective of promoting Indian Classical music and dance forms besides training students in a structured manner. From monthly concerts and running a school for Vocal Music and Veena for 30 students, the school now has over 1100 students taking structured training from a dedicated and distinguished faculty in Vocal, Veena, Violin, Flute, Keyboard, and Mrudangam in Carnatic Style, Vocal, Sitar, and Tabla in Hindustani Style besides Bharathanatyam and Kathak. This has largely happened post the construction of the Sabha’s cultural complex Purandara Bhavana and its dedication to the nation by the then President of India, Dr. A.P.J.Abdul Kalam on 23 July 2004. “Our students go through a well-structured syllabus to complete a “Foundation Course” and then go on to take a “Diploma Course” in these disciplines. Students are also encouraged to appear for the Karnataka Board Examinations. It is gratifying to note that a sizable number of students have completed these examinations and have also distinguished themselves in the Board Examinations. Our Senior Students are participating in competitions and events in and out of Bangalore and have also been performing in All India Radio’s Balagopala and Vanitha Vihar programmes and in Bal Bhavan programmes every summer,” explains S.N.S. Murthy Former DG & IGP Karnataka and Patron, Indiranagar Sangeetha Sabha, Bangalore. The awards function will be held on 26th January at 9.30 a.m. Saturday will also see the Nadanrithyopasana, a music and dance ensemble by the senior students of the school of performing arts, ISS. As part of the Purandara Awardee Concert on Saturday, A. Kanyakumari will be performing on the violin with Vittala Rangan, V PRaveen and Guruprasanna. Sunday will see a faculty concert with Divya Gogale performing a kathak recital and Gopika Varma will be performing the Mohiniattam. Monday will have another facaulty concert with AP Sarvothama (Flute), Shankar Rajan (Violin), A V Balakrishna (Mrudangam) and Anil Parashara (Kanjira) and Yuva Purandara Awardee Concert by Sandeep Narayan with H K Venkatram and K V PRasad will also be held on Monday. The third faculty concert on Tuesday will see Vijay Gonahalu (Sitar) and Puttaraj Gonahalu (Tabla) and a Hindustani Vocal recita by Mouna Ramahandra accompanied by Satish Kolli and Gurumurthy Vaidya. 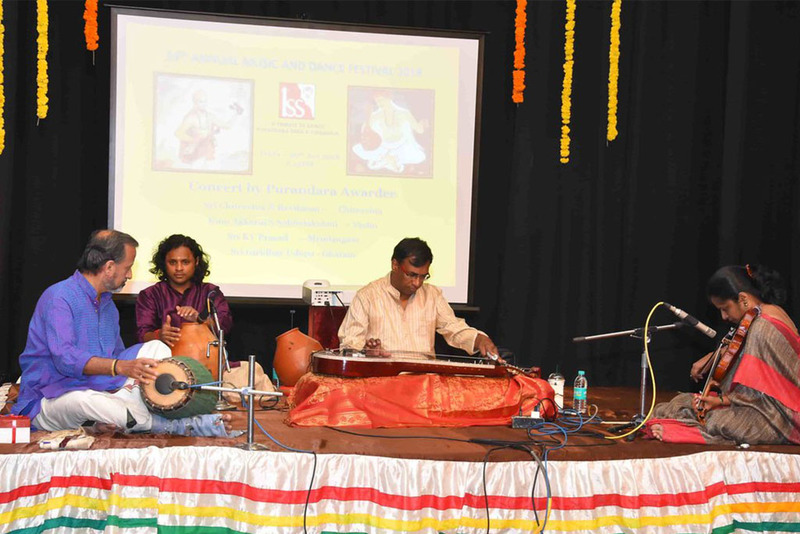 On Wednesday, Hyderabad Brothers – D Raghavachari and D. Seshachari will perform accompanied by Mysore Srikanth, C Cheluvaraju and Ranganath Chakravarthy while the last day will have the fourth faculty concert by M Rajappa, C Vibhudendra Simha, Phanindra Bhaskara and Raghunandan as well as a Yuva Purandara awardee concert by Aishwarya Srinivas accompanied by R Gopinath, Neyveli Narayanan and S Srishylan. So get set for a journey of music and dance this weekend.